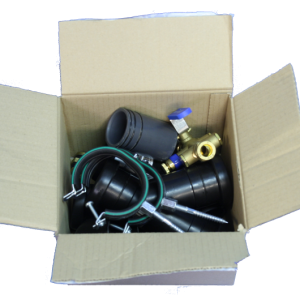 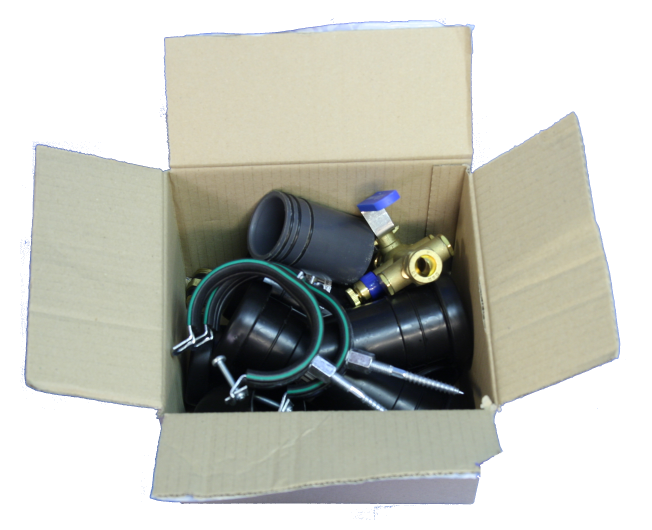 This kit contains the most relevant parts for installing the VXpipe. 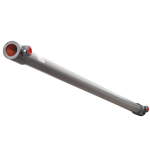 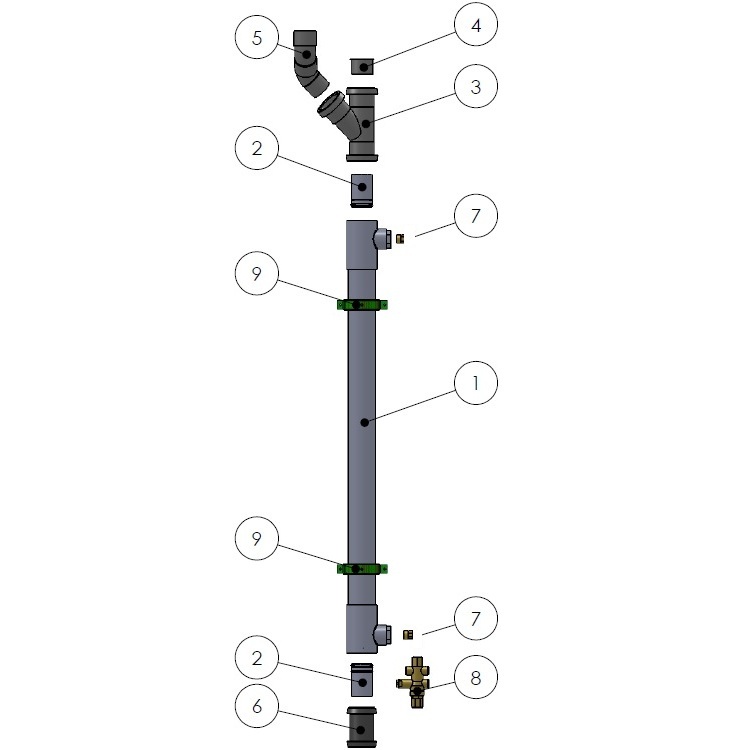 For a description of the separate components, see the VXpipe installation manual. 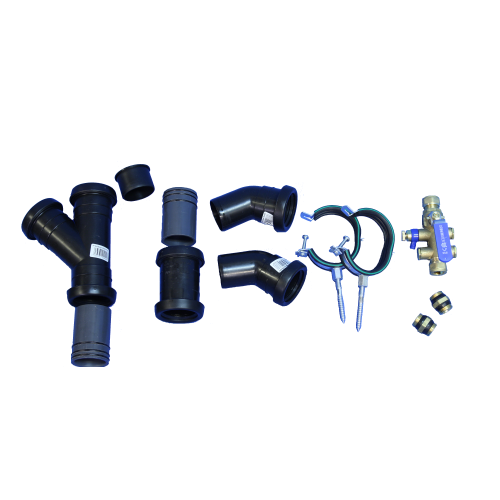 This kit does fit both the 2015mm and 1700mm version of VXpipe, but not the high flow version.